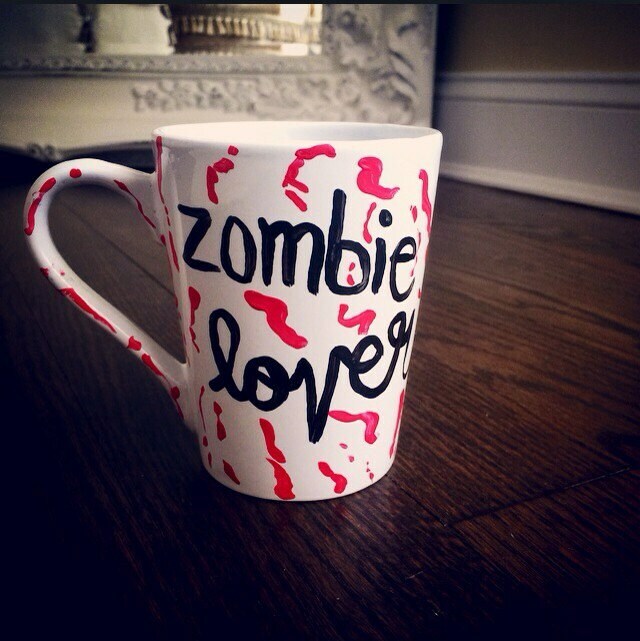 Hand painted , heat cured and ready to be sold to all my fellow zombie lovers out there! 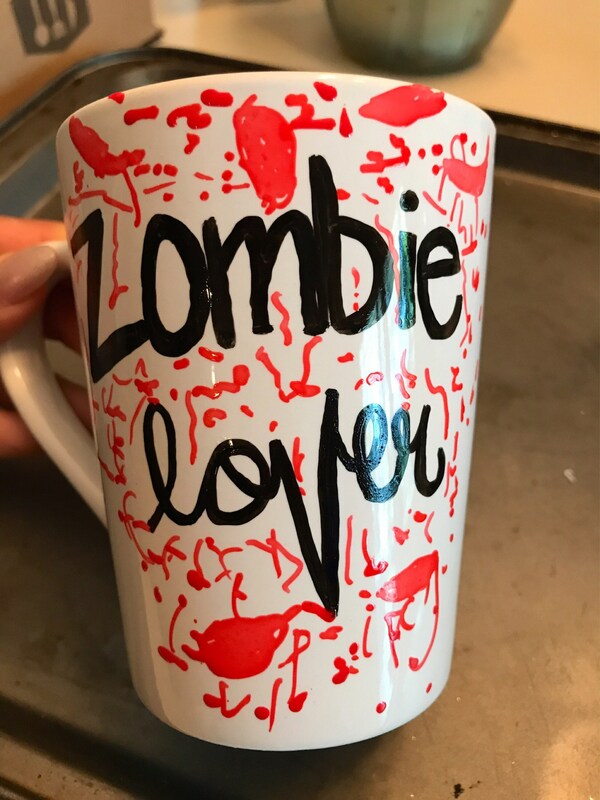 No paint markers used- everything painted with acrylic paint. Must be hand washed to preserve paint. I love everything about this item. It came on time and the packaging was adorable, along with the note. Super cute. Definitely will order more from here! I was very excited to order this Mug for a friends birthday. Unfortunately It did not arrive at the scheduled time. I ordered this item on April 4th and did not get it until April 23. I understand people are busy but I think that's a bit ridiculous. I've never had any order take that long. The wrapping was cute and the mug was cute but still a bit pricey. Don't know if I will order anything again. 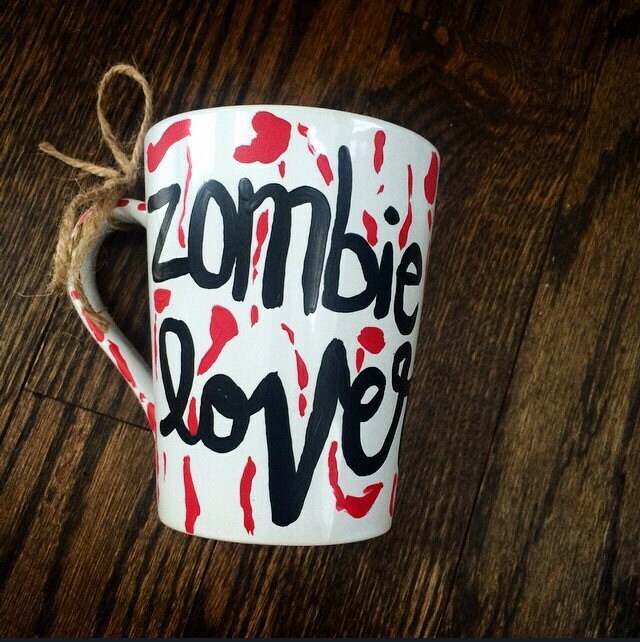 I love this mug so much! I get lots of compliments and laughs with it at my workplace. Thank you so much, Nicole!